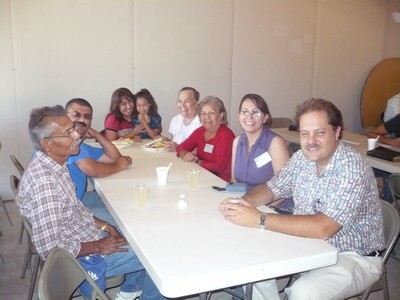 My family and I, along with a delegation from our church, just returned from the CORENO 2008 (Northwest Regional Convention) that took place over this last weekend in Mexicali. The convention was outstanding! With the attendance of 230 brothers and sister in Christ, the spiritual atmosphere and camaraderie where exceptional. The displays of sincere Christian love and affection toward Miriam and myself where overwhelming – they truly blew me away! I was not expecting or anticipating so much undeserved attention. It caught me completely by surprise and I am still trying to digest it all. I was crying openly in the shower this morning do to the sheer awesomeness of this incredible blessing! At first, our party of 15 was not sure if we would be able to make the trip. I had not been well for several days previous, and the vehicle was not ready. But your prayers and the prayers of our local church members made it possible to get everything ready just in time. My wife Miriam was absolutely instrumental in helping with the expenses. She paid for most of the trip out of her personal wages. God bless her heart! 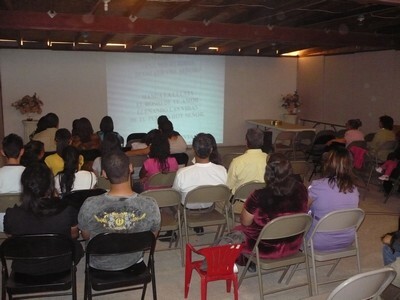 The four-day event was hosted by the church at Colonia Polvora, which is lead by their capable evangelist Aldo Dominguez Jr. He is also the founder of the congregation. Like many other Mexican preachers in our fellowship, Aldo must work at a secular job in order to make ends meet because his congregation is not able to support him full time. So far he has been able to juggle between his managerial work in a local hospital at night, and his church ministry during the day. Aldo asked me to lead a morning workshop for the young people based on Psalm 119. This passage exalts the role of God’s word in our lives, and emphasizes its power to transform us. The response that I got from them was also phenomenal! I had several kids come up to me afterward to congratulate me for the message. They said things like, “refreshing,” “relevant,” “wow,” “that’s the kind of stuff we need to hear,” and “why don’t they invite Philip to preach?” Tito Garcia, who is a preacher friend of mind in Tijuana, informs me that his son couldn’t stop talking about it all the way home. That’s a a 3 hour trip mind you. I didn’t know that a message on the power of God’s word and our need to restore it’s authority in our lives would have such a response among young people. This proves once again that they are ripe and ready to receive this challenge just as our forefathers did in their day. May God speed up this revival among the youth of Mexico! Brother Mark Northrup (son of Rodney Northrup) from Saltillo, Coahuila was the main speaker. His subject was “Healing for a Bitter Heart.” He led us through a series of Biblical passages that deal with the need for forgiveness and healing among Christians. 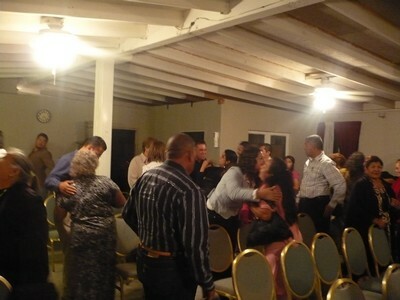 A couple from Ejido Puebla came forward on Sunday to be reconciled to God and to each other. The local music team led in spirited worship, combining several familiar contemporary praise songs with some of the old classic hymns. 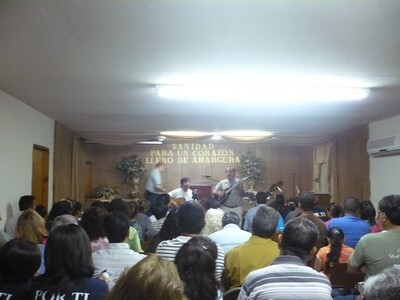 The special music was delivered by Aldo Dominguez, Luis Vasquez (evangelist for the church in San Luis, Sonora), the local youth, and several others. I was also invited to sing. The audience requested that I sing “Juntos Estamos Aqui” (We Are Gathered Here) which has become an anthem for the call to Christian unity among believers. A dear elderly sister from Culiacan informs me that the church where she attends is very fond of this song, and that they sing it often during their meetings. I wrote and recorded “Juntos Estamos Aqui” in 1978, under a different title. Since then, it has taken on a life of its own and transcended beyond the confines of our own fellowship, as various individuals have been using it in their own churches. One such worship leader told me this weekend that he uses this song to open the service every Sunday at a Christian center in Mexicali that is unrelated to our brotherhood. I must say that I am deeply humbled by this phenomenon. One of my goals for the coming year will be to record a brand new album (thirty years later) using this song as the main theme. But first I need to get some serious dental work done –hopefully (ha, ha, ha). If the Lord wants to use my music to bless his church, who am I to keep him from pursuing His perfect will? If you would like to contribute to this noble project, please contact me immediately. Proceeds will be used to develop similar praise projects and aid in the spreading of the Gospel among the Mexican people. CORENO 2009 IN CABO SAN LUCAS! Next year’s convention is scheduled to take place in Cabo San Lucas & San Jose del Cabo which is located on the southern tip of the Baja California Peninsula. There is a small struggling church there that is being led by Victor Vazquez and his father-in-law’s family. This ministry serves a growing population that works in the tourist industry. Many of them are traditional Roman Catholics that have been uprooted and are in need of connecting with the community. 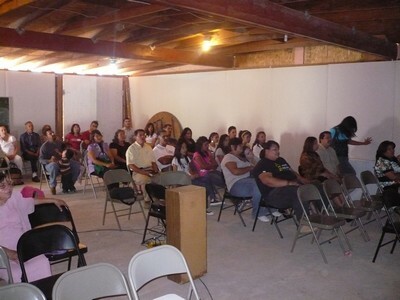 Hosting a convention there represents a huge challenge for our churches in northwestern Mexico. First of all, it is a 24-hour drive from where we are, and 36 hours away from those living in Hermosillo. Special transportation arrangements would have to be made in order to mobilize 200 people. Furthermore, the Cabos are a favorite tourist destination; everything is at least 20 to 30% more expensive there than anywhere else. Renting a facility is out of the question for the same reason. The cost of food is prohibitive as well. 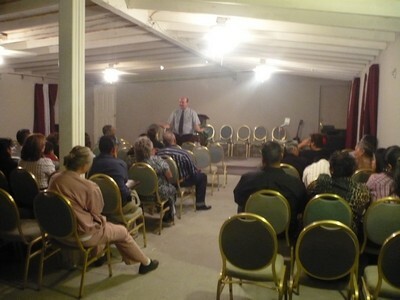 The brethren in Cabos do not have enough room in their church building to host over 200 people. We have suggested that they rent a vacant lot where we could set up a tent along with other temporary fixtures such as portable restrooms, personal tents, etc. We want to work with them for a viable solution. I already have a mid-size tent that could seat 100 people. What we really need is something twice that size in a rectangular shape, with corresponding walls. Then we could use the smaller tent for a dinning hall. These tents could be used for other future events and similar contingencies. Large quantities of non-perishable and canned food items such as pinto beans, rice, pastas, etc. would go a long way to alleviate the need for food. We also want to purchase Bibles and tracts in order to lead the young people in a city-wide outreach event, thus assisting the local church in their effort to spread the Gospel. Please help us to accomplish this goal for 2009 any way you can! You are also more than welcome to join us in what we have chosen to call “CABO OUTREACH 2009!” If you have a church group that wants to experience some real mission work, this would be the ideal opportunity. It would be a challenge, but the benefits of taking part in evangelistic outreach far outweigh the costs.